Did you know? Julius Gordon was co-discoverer of the diamond fields at Alexander Bay, but sold his concession later for next to nothing to a Dr Merensky. 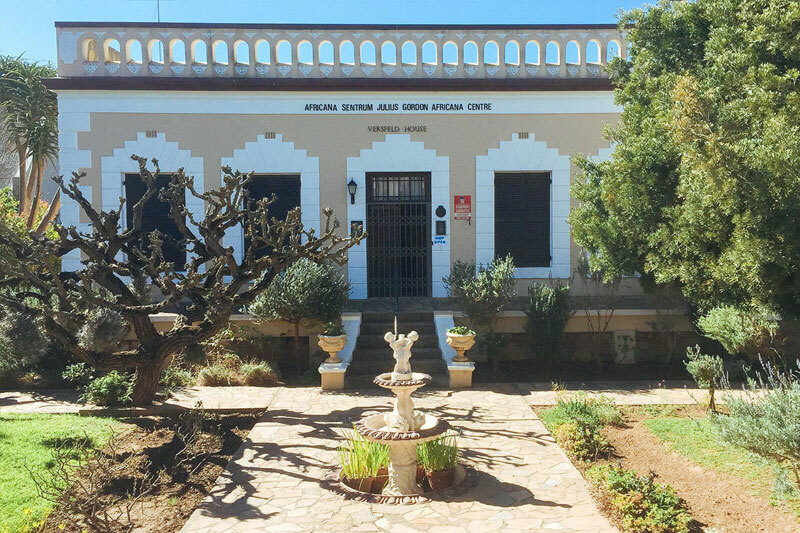 The internationally recognised Julius Gordon Africana Centre (Versfeld House), built in 1880, houses the largest collection of Thomas Bowler paintings in South Africa. Included in the permanent exhibition are works by Jan Volschenk and Johannes Meintjes (both natives of Riversdale), Irma Stern, Maggie Loubser, Gregoire Boonzaaier, Erich Mayer, Terence McCaw, Ruth Prowse and Pieter Wenning. The centre also features Khoisan rock paintings and stone implements, Africana furniture of the region, and the history of Riversdale. Modern man (Homo sapiens) lived in and around the Riversdale area from as far back as 130 000 years and more ago and some of their ancient stone artefacts can be seen here. The museum is open Monday to Friday from 10:00 – 15:00. & Saturday from 10:00 – 12:00.